There is an interesting recent journal article, “Exploratory Modeling: Extracting Causality From Complexity” (Larsen et al. 2014), which describes the usefulness and success of exploratory modeling in the earth sciences. Although this article does not mention GoldSim, it provides a nice explanation of modeling philosophies which work well in GoldSim. These philosophies emphasize a “top-down” approach to modeling complex systems and focus on the representation of uncertainty in addressing “big-picture” issues. 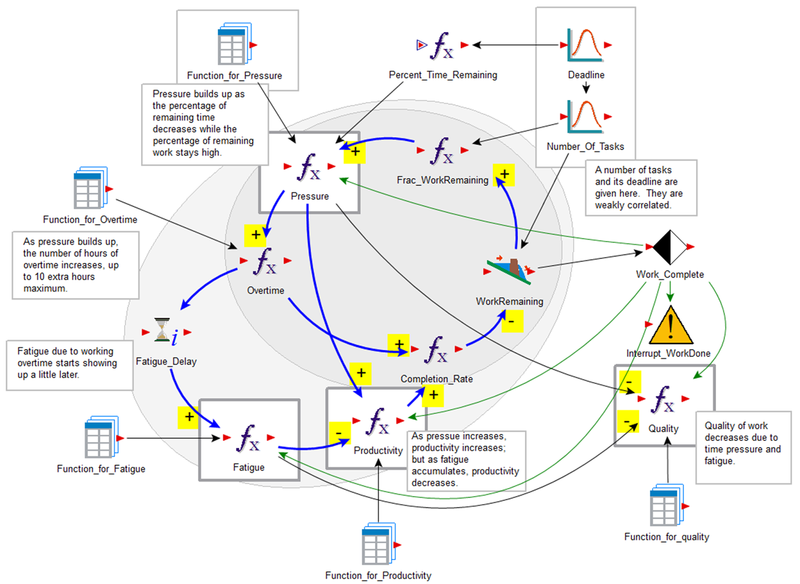 As a final note related to exploratory modeling and GoldSim, the 2007 GoldSim User Conference presentation "Modeling Complex Systems – How Much Detail is Appropriate?" provides a good description, specifically related to GoldSim, of a process that can be used to determine the necessary level of detail for an exploratory model in general and a Goldsim model in particular. This presentation also provides some beneficial tips on exploratory modeling using GoldSim. Banks, S. (1993), Exploratory Modeling for Policy Analysis, Operations Research, v. 41, n.3, p. 435-449. Esch, D. (2007), Modeling Complex Systems – How Much Detail is Appropriate?, Presented at the 2007 GoldSim User Conference, San Francisco, CA. Larsen, L., Thomas, C., Eppinga, M., and T. Coulthard (2014), Exploratory Modeling: Extracting Causality From Complexity, EOS, v. 95, p. 282-292, doi: 10.1002/2014EO320001.